Google is pricing this year's new Pixel phones higher than the nexus devices, but it's also offering financing. That was previously only available on Project Fi, but that's not the full extent of the expansion. Financing is actually an option for any purchase on the Google Store of more than $150. You'll see the financing option when you check out, down at the bottom next to the "Pay now" option. This is a standard 24-month 0% APR deal for Pixel phones, but the offerings are different for other purchases. 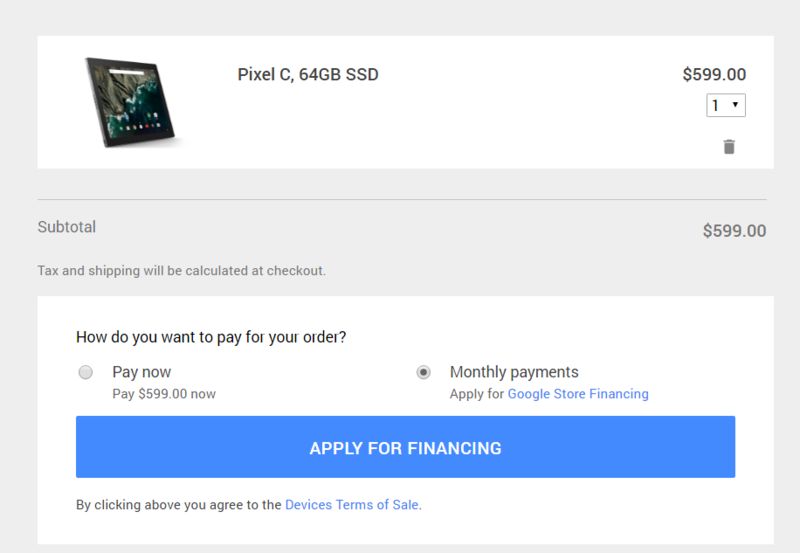 For something priced between $149 and $299, you get 6-months to pay it off. For purchases of $299 or higher (other than the Pixel phones) you get 12-months. The $149 and $299 thresholds can be reached with a single item or with a bunch of stuff. 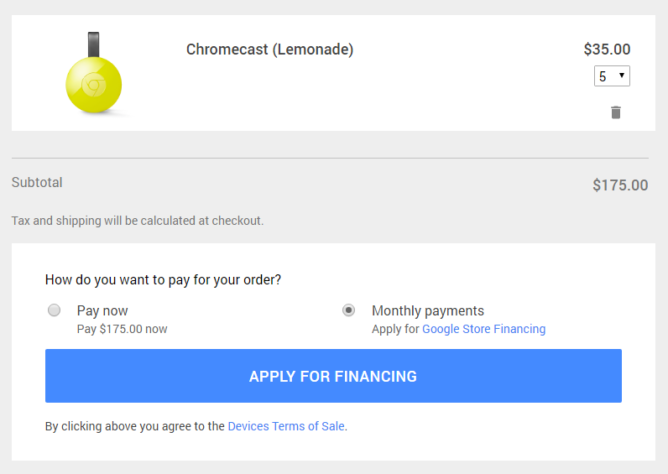 You can even stock up on Chromecasts or Cardboard viewers and finance it if you want. These non-Pixel financing deals are 0% APR too... unless you don't pay it off in time. Like similar credit lines from retailers, the APR is technically 29.99% that is waved for 6 or 12 months. If you don't pay it off in time, all accrued interest will be charged. It's a cool option, but you should use it sparingly. It could end up being very expensive if you leave the debt too long.